WHY ARE ORTHODOX JEWS SHOPPING AT ZARA? I am currently at the Freehold Raceway Mall in Freehold, New Jersey, waiting for my wife to run a few errands. And, from where I am sitting, I am watching Orthodox Jews coming into and out of the mall’s zara store. How can they not know the anti-semitic history of this company? Any doubt about the similarity? 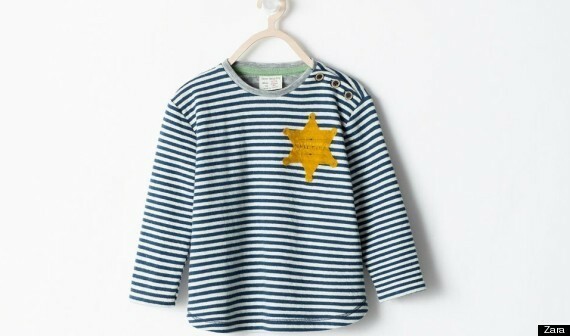 zara was attacked for its idiocy and/or anti-Semitism almost immediately after putting pictures of the item online. Within hours, it was removed, and an apology offered. Frankly, I don’t believe zara’s apology. I don’t believe that no one at that company knew what this “t-shirt” was modeled after. A much more plausible explanation is their expectation that, though they’d take a hit from some people (you know, those annoying Jews), it would be a huge seller among certain other population segments – including in Israel (which, as media usually forgets to remind us, is 20% Arab). They just didn’t count on how fast, how intense and – most of all – how expansive the hit would be: far beyond the Jews they weren’t worried about. Would you have believed them then? And if you did, would you believe them again now? And in case that is not enough, there is also the $40 million dollar lawsuit against zara filed by a Ian Jack Miller, a Jewish, lawyer who charges the company with religious discrimination against him. How can they possibly be unaware of this? How can their leadership, especially their religious leadership, not be aware and not have advised them? 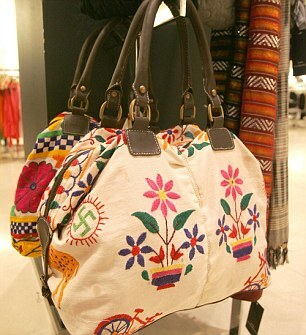 If I can find zara’s appalling history so easily, how can it have escaped the Orthodox Jewish community? As a generally secular, non-religious Jew, I would not set foot in this store. Is there something these people know that I don’t know? Or, more likely, is it that I know something that they don’t… and should? Why didn’t you go up to them ask why they are shopping there? A very fair question. The answer, to be entirely honest, is that my wife asked me not to on the grounds that I would be nosing into other people’s business. And, truth be told, she has a point. But that doesn’t prevent me from putting it up on the blog which, I hope, is seen and discussed by people who shop in the store – observantly Jewish or otherwise.